For models with HICAS, our SPL TITANIUM series HICAS eliminator eliminates the rear wheel steering feature. This provides a more linear driver control and feel at the limit, and prevents rear wheel steering from interfering with counter steering and drifting. 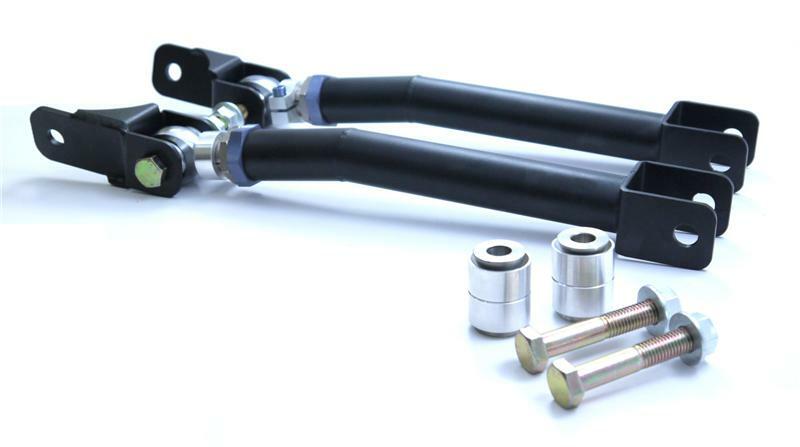 Our kit consists of our new lightweight and low profile HICAS conversion brackets, our SPL TITANIUM series toe rods, SPL FKS series monoball bushings for the knuckle to replace the stock HICAS balljoints and fittings to delete the HICAS hydraulic pump loop (for Hydraulic HICAS models). The SPL Titanium Series Toe Rods feature 1.25” 4130 chromoly tubing, slipped over a CNC machined angled steel sleeve then professionally tig welded. 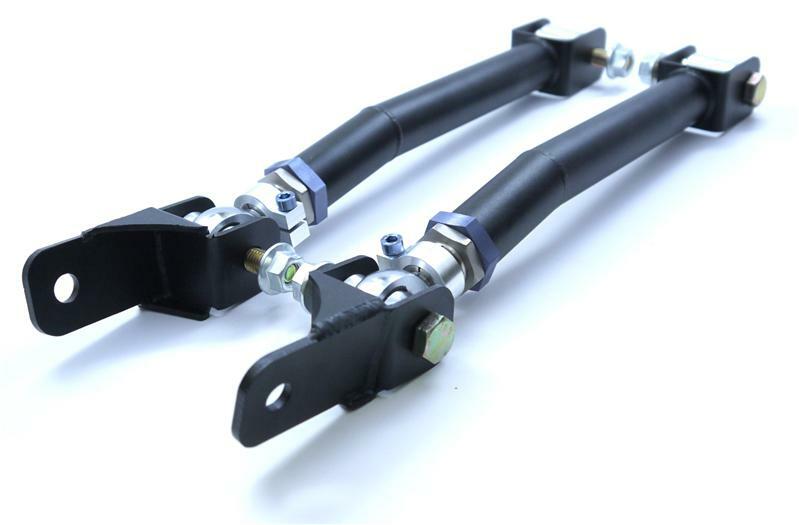 The angled sleeve prevents the rod from hitting the subframe bushings on lowered cars, while allowing us to use hollow tubing to keep the rod incredibly strong yet lightweight. Our exclusive 4130 chromoly hybrid adjusters offer quick and precise adjustment, and high quality motorsports bearing provides lower friction, smoother articulation and eliminates bushing deflection under load. Blue anodized titanium hardware shaves more weight from the arms, without compromising strength. SPL FKS series monoball bushings feature FK racing bearings with a self lubricating Teflon liner, and highly precise (machined to 1/1000th inch) CNC machined T6061 aluminum bearing shell for an accurate fit.